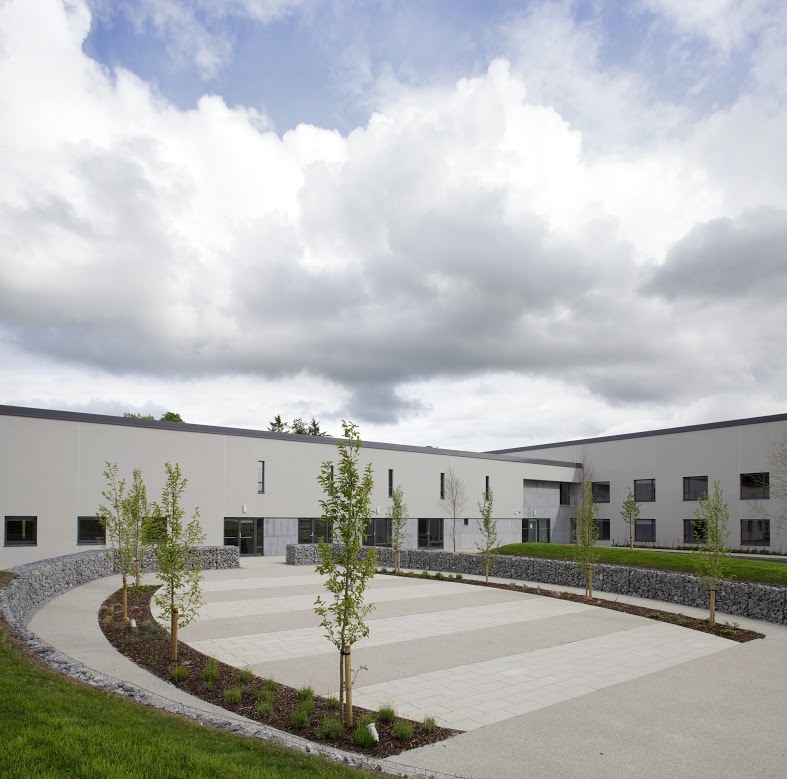 Murray & Associates, landscape architecture were commissioned by ABM Design & Build to prepare Landscape Masterplans for numerous (CNU) Community Nursing Units throughout Ireland, one of which was the CNU in Ballinasloe, Co. Galway. Construction commenced in 2009 and the works were completed in approximately 6 months. The project value for the hard and soft landscape works was in the region of €200,000. Located to the east of Ballinasloe town, the local landscape is characterised by open fields with rectilinear patterns and characteristic stone walls. These forms are echoed in the landscape design concept for the CNU grounds and gardens. A mature tree lined avenue of Birch, Sycamore and Beech creates an impressive portal to the site. These trees were protected during construction and enhanced through the planting of a formal Beech hedge. The spaces were designed to respect the existing landscape character of the site though the employment of local forms and materials, including indigenous plant materials. The design proposals aim to achieve a relationship between the internal elements of the building and the external functions of the landscape. 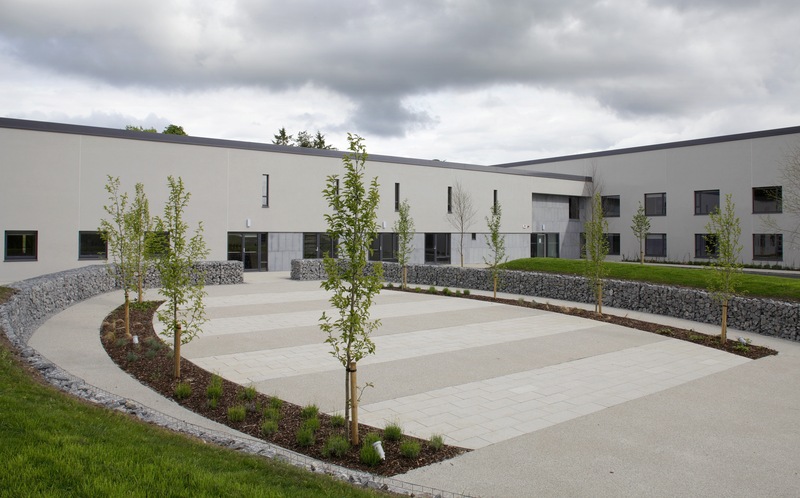 The concept of the community nursing unit aims to create unique settings for users through the application of landscape strategies which stimulate, educate and rehabilitate patients through considerate, site specific planning and design. There are three primary external spaces, each of equal significance, associated with the health centre, as well as the general approach, environs and setting. The ‘oval’ garden located adjacent to the CNU entrance is semi private, its purpose being to provide opportunity for passive leisure and light activity for patients, visitors and staff. The garden space is designed to reflect the walls of the wider landscape by utilising gabion baskets filled with local stone and enclosed by earth mounded edges. The space is paved for group exercise and planted with a variety of tactile trees and shrubs. The two rear gardens provide more private recreation space for patients and users. Elevated seating areas take advantage of the site levels by opening and framing stunning panoramic views to the wider countryside. 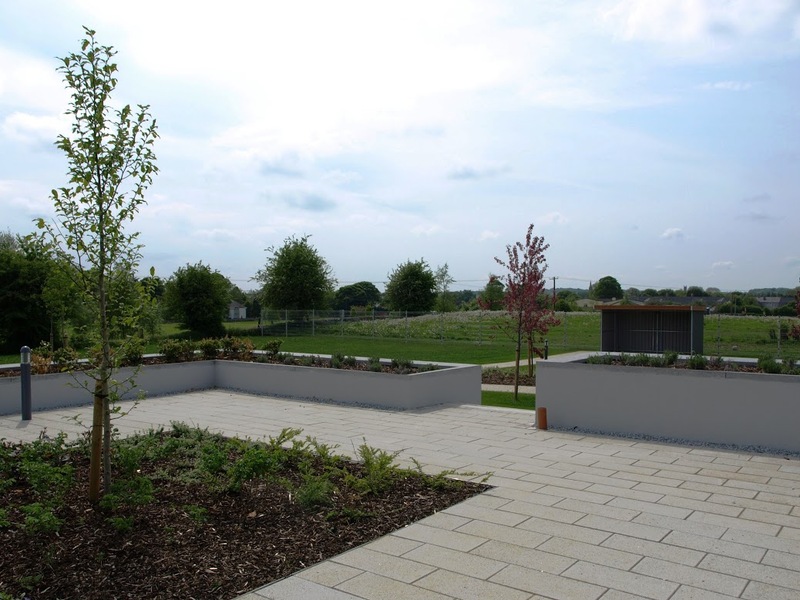 Features of these gardens include seating areas, sensory planting, raised planters for patients use, bowls ‘petanque’ games area and circulatory paths through the gardens. The gardens are laid out in several linked and overlapping compartments to create a series of small spaces which offer opportunities for variety and exploration. Careful consideration is given to the treatment of surfaces in external areas ensuring full accessibility which is safe and secure. Murray & Associates is a renowned landscape architectural practice working on a wide variety of projects in urban, commercial, residential, historic and environmental contexts. © Copyright 2019 Murray & Associates. Terms. Privacy.